If you say you've never been in love, then clearly, you've never been to Target. The all-in-one merchandiser has a variety of brands, like Hearth and Hand with Magnolia and Threshold, that really know the way to our hearts (and by that I mean, our wallets). 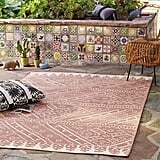 Whether you're prepared for a shopping spree or not, a quick scroll through Target's website always gives us a reason to spend, and with Summer fast approaching, we found an accent piece worth the money: outdoor rugs. 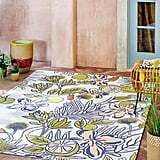 Rugs can provide an easy facelift to a bland patio, and as the season of barbecues and brisk Summer nights awaits us, there's no reason to not indulge in a small upgrade that packs a punch. 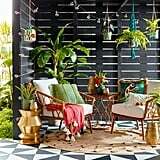 If you're ready to breathe life into a bland patio, then we've gathered 97 outdoor rugs ready for the challenge — have a look!